This is the 4th year Martin Stanley (brother of All Black Joe) has brought his coaching troop up from New Zealand and we are delighted to have them back providing loads of rugby skills training and the teaching of the Haka and other Pacific Islands traditions! 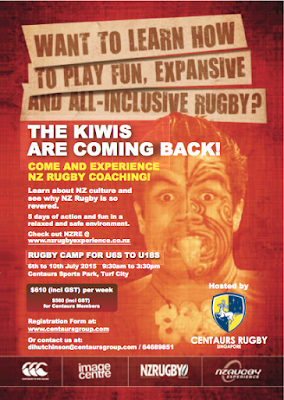 Tim Horan (2-time RWC winner) will also be joining in the fun on Thursday, 9th July from 2:00 to 3:00pm. 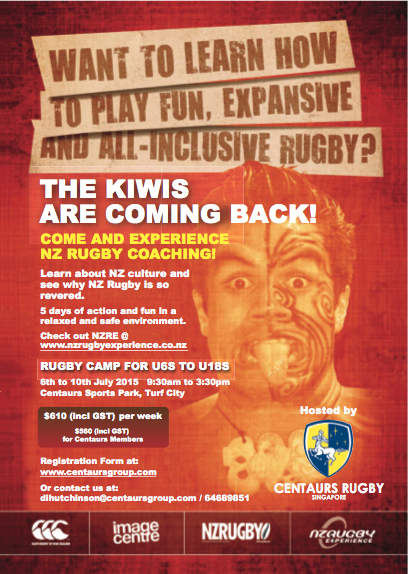 The NZRE camp is hosted by Centaurs Group and is open to every rugby-loving kid from 6 to 18 years old.